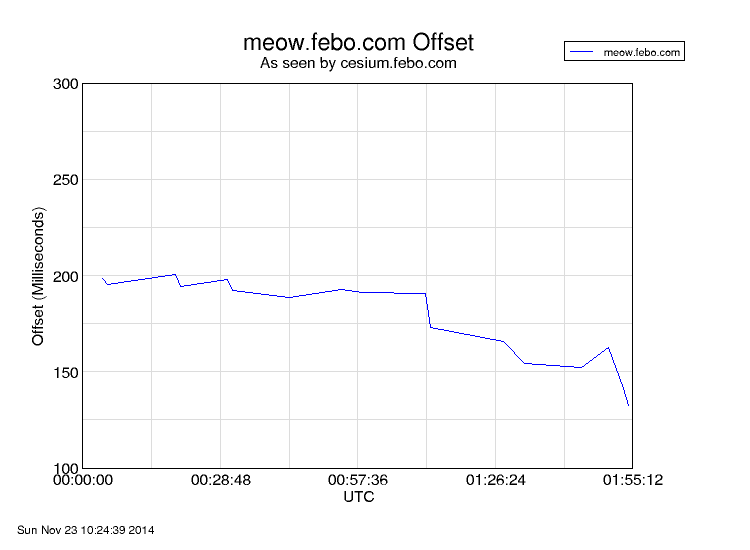 meow.febo.com (also known to the outside world as www.febo.com, and plain old febo.com) is a Stratum 2 NTP server, sync'd to the Stratum 1 servers I run behind my firewall. You can find information about those systems here. 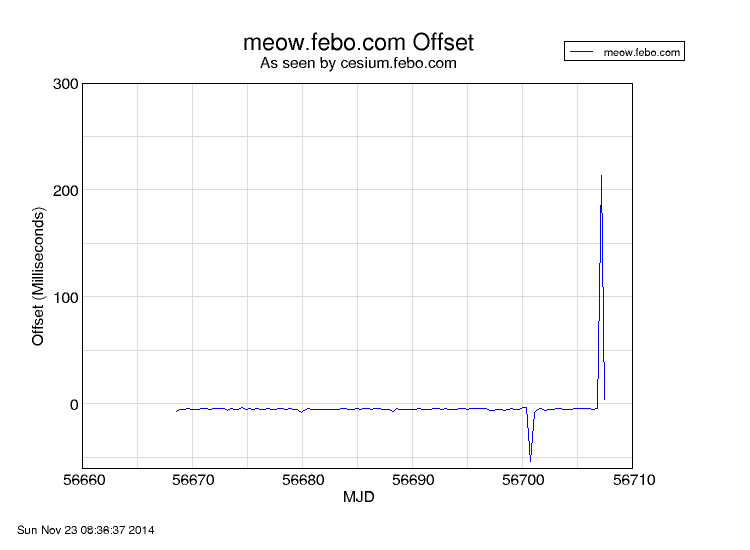 Here is meow's offset, as seen by tick.febo.com, one of the internal Stratum 1s, which syncs to an HP 5061A Cesium Beam Frequency Standard. tick and meow are one router away from each other on 100 MB networks, and the network delay between them is typically about 1 millisecond, with very low jitter. So, tick has a pretty good idea of the time that meow is keeping. 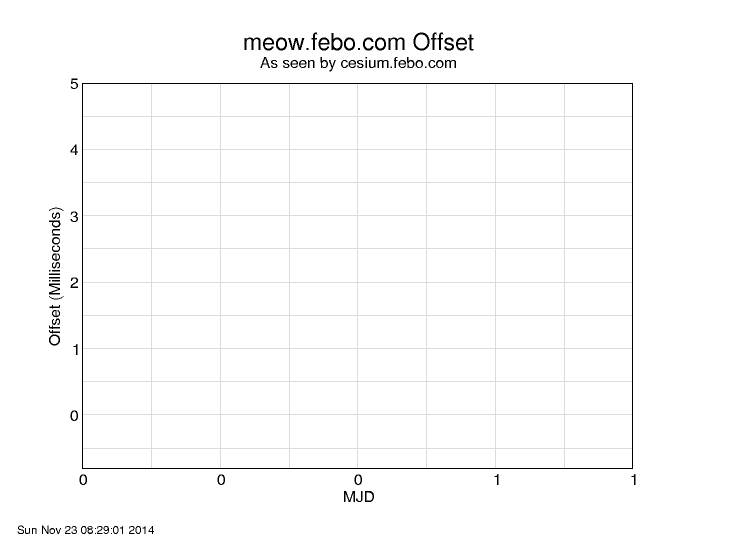 Below the offset statistics is a graph showing the number of clients and the number of requests per second meow is supporting.